Charitable giving and community involvement are intrinsic to the BMI Federal Credit Union mission. We show our commitment by sponsoring local events, encouraging our employees to volunteer their time, and contribute to various community-based organizations. 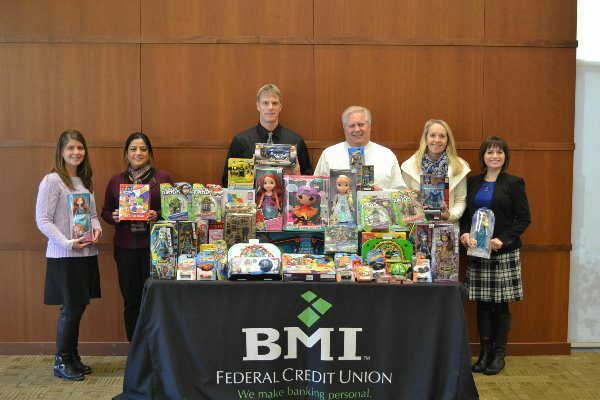 BMI Federal Credit Union has implemented a variety of programs designed to increase its visibility and ongoing support of the community we serve. For example, each year BMI FCU employees select 12 local or national organizations to support during the calendar year. Each month the designated organization receives a donation and recognition. Additionally, BMI FCU employees have the opportunity to voluntarily contribute additional funds to a pool. The Credit Union then matches the funds raised from this pool. 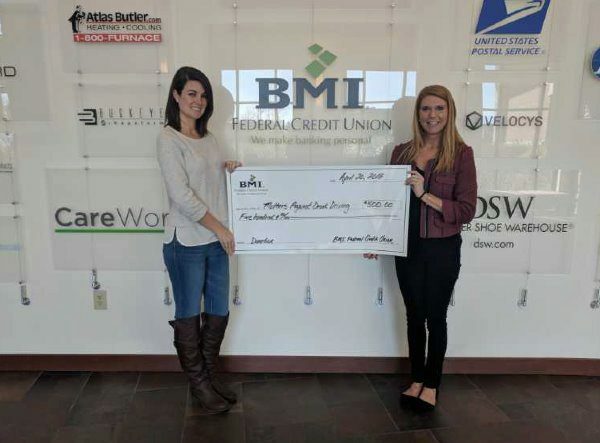 Some of the organizations BMI FCU has supported include the American Cancer Society, the Ronald McDonald House, the Mid-Ohio Food Bank, and the Fallen 15 for Military and Veteran Services. In addition to supporting our community through local and national organizations, BMI Federal Credit Union promotes Financial Education by working with teachers in local schools. The Credit Union is also bringing financial literacy programs to educators and students in central Ohio area for free through The Banzai Program. BMI FCU offers community involvement support to those that need funding for their charitable organization or event. To apply for community involvement support from BMI Federal Credit Union, please complete our Charitable Giving Application and email it to Sarah Borland at s_borland@bmifcu.org.